Beach Landscaping is a full service Myrtle Beach landscaping company that serves both commercial and residential clients. We design, install and maintain some of the best landscapes in the Myrtle Beach area. 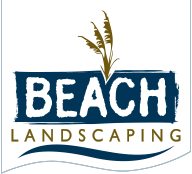 At Beach Landscaping we understand that you have many choices for your landscape services. For this reason, we have worked hard to build our reputation based upon understanding your needs and providing quality results that will meet or exceed your expectations, while providing beauty and value to your property. We offer a complete range of landscape services, all performed with the same professionalism and attention to detail our customers have come to expect.